But as the coverage ramped up to a fever pitch, I started feeling a little testy about it –– and not just because this Hunger Game-fantasy-gone-wrong had seen an animal brutally slaughtered by someone I’m supposed to call a colleague. As one of my colleagues put it, I wish I could bleach my brain. (In case you haven't seen the pic, beware: You can't un-see it.) After a dozen or more views of her sloppy kill, it’s hard not to attribute all manner of unappetizing qualities to her gloating grin: Bratty, cruel, clueless, small-minded, boastful and mean come to mind. Looking at her in this context makes me wonder what anyone could ever see in such an evil, idiotic person that they would allow them entry to a school of veterinary medicine, hire them, or ever call them a friend? But it was at the exact moment this precise thought came to mind that I had to step back and give myself a mental slap. What was I thinking, condemning her unconditionally for being a brute and a dolt when we don’t yet have all the facts in hand? For all I know this was a Photoshopped image posted by a jilted lover, right? While I’ll admit this possibility is a highly unlikely one, meandering down the path of “what if” even just a little ways made me pay attention to parts of this story I’d formerly glossed over. Suddenly I noticed all the subtle ways I’d been spoon-fed a perception of this person as April 16, 2015’s Ultimate Incarnation of Evil. I didn’t much like the sensation. And not just because I didn’t like the vision of myself as hair-trigger executioner. Even as I rejected all but the merest possibility of her innocence, the bad taste lingered. There was something strangely discomfiting about all the slavering vitriol that accompanied this story. But what was it? I mean, she’s not Hitler, vicious smirk notwithstanding. She’s just an ordinary American idiot who did something everyday people either talk about doing or will confess to having done at some point. Plenty of people we don't like are mercilessly stupid when it comes to using weapons of all sorts against animals they perceive as a nuisance. Note: So you know, this doesn’t just happen in Texas. Just last month I had two separate cases of cats grievously wounded by close-range rifle fire. #2 Was this a slow news day or what? As a veterinarian I really do wish animals were at the top of everyone’s news radars, but I concede this isn’t generally the case for a variety of really good reasons. Why then, has this story made national headlines beyond more important items? Are there no more newsworthy stories out there or is the news media pandering to our inner rage? Note: Yesterday was the 25th anniversary of the Oklahoma bombing and the 72nd anniversary of the burning of the Warsaw ghettos. How’s that for perspective? #3 Why the veterinary angle? In case you’re not aware, veterinarians are widely regarded as saintly paragons of virtue. Presumably as a result of our dedication to innocent life, the world elects to hold us up as fairy tail heroes. 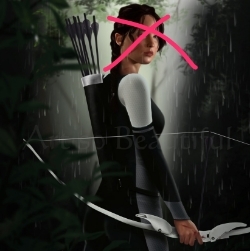 The secret is out now, of course, but it should’ve come as no surprise to anyone before Katniss unleashed her bow that the world is neither black nor white. Bottom line: The obvious truth is that this story would’ve never made the national desk had a veterinarian not been the alleged perpetrator. In fact, irony is the only truly newsworthy thing about this story. #4 I could do without the spin. Come on. Does that huge tomcat look like a pet to you? He may well be, but if he is we should start questioning the morals of an owner willing to let a cat exceed the age of sexual maturity without sterilizing him. Crying “OMG this was a pet!” feeds increasingly extreme outrage –– needlessly. Upshot: Pet or no pet, this was wrong. Let’s leave it at that. #5 Why are we so focused on the person and not the problem? You know this kind of thing happens all the time, don’t you? Why, then, are we not doing something about it instead of whipping ourselves into a paroxysm of anti-imbecile frenzy? The short answer: Because it’s easier to throw a cyber-tantrum or even get someone fired than it is to address real problems. Newsflash: Yes, people really do want to eliminate feral tomcats –– with extreme prejudice, apparently. Let’s talk about that. Constructively. After grazing over a thousand comments (including over a hundred from veterinarians on VIN), it’s clear this story has many of the hallmarks of cyber-bullying about it. Your own justifiably affronted reactions notwithstanding, the more I subject myself to the drama-stoking talking heads and digest the caustic comments, the more I can’t help hoping this woman doesn’t kill herself. Conclusions: I’m not giving anyone a pass they don't deserve. I’m simply asking everyone to put down the torches and pitchforks. If we feel strongly enough about what’s happened here, we should redirect our moral outrage towards something more constructive than expletives and death threats. Enough already!